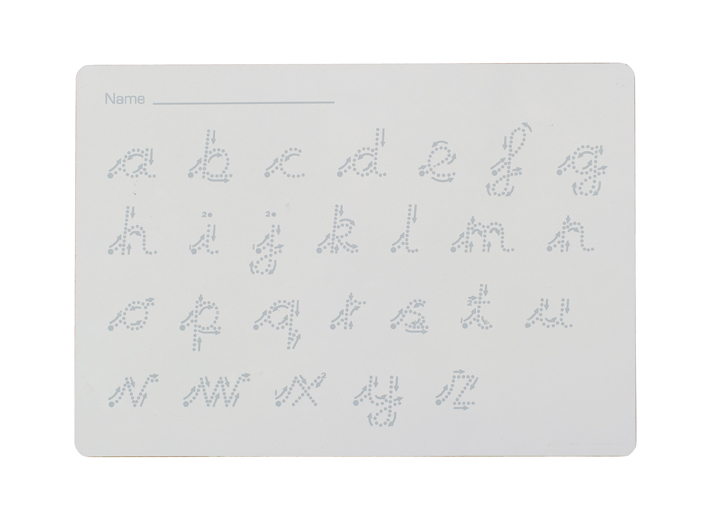 Rigid A4 handheld whiteboards are sturdy and ideal for group work in primary and secondary schools. Lapboards are a great tool to support children in actively learning in lessons and can also help to increase interactivity in lesson time. The non-magnetic dry wipe surfaced whiteboards allow for work to be easily altered or erased mess-free. This can help boost confidence of students who might be reluctant in putting forward their ideas among peers in the fear of being incorrect. 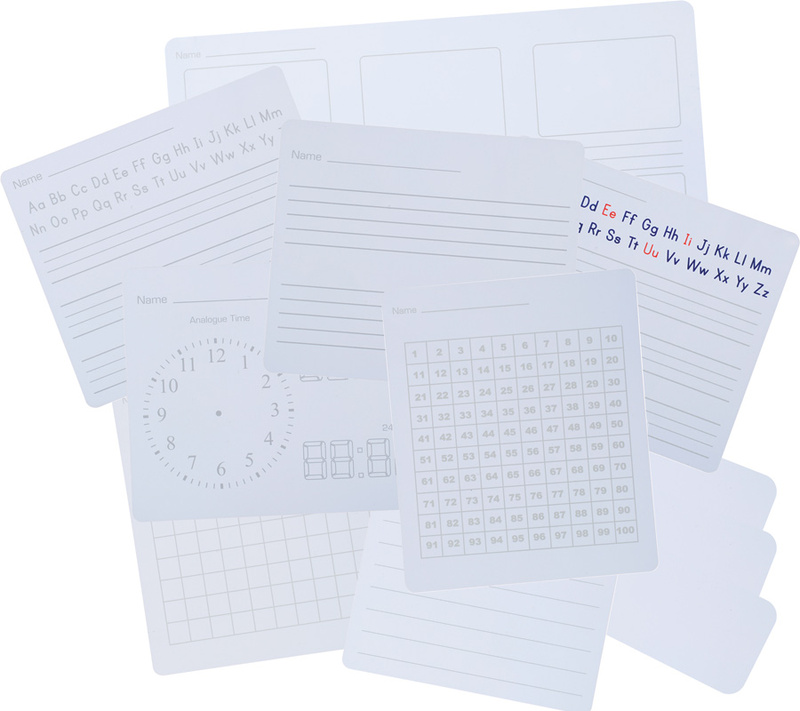 Teachers can use these hand held whiteboards to quickly visually gauge an idea of overall understanding in lessons and determine which children may need additional help. Available in a choice of 2 pack sizes – 35 or 100. Packs are available in 14 writing surface options so can be used as a resource across a variety of subjects in schools. Plain, squared, lined and chalk writing surfaces are ideal for use in any subject and can be used during any interactive activity as an alternative to pen and paper. 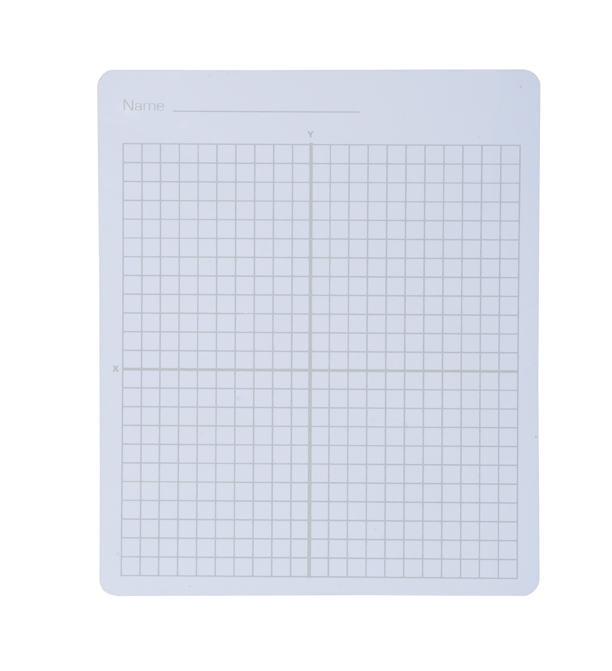 The 1-100 grid, multiplication, X&Y grid and time writing surfaces are suitable for teaching students about time or maths. Handwriting, letters/vowels, pre-cursive and cursive surfaces are a perfect medium for helping children perfect their handwriting, vocabulary and literature skills. 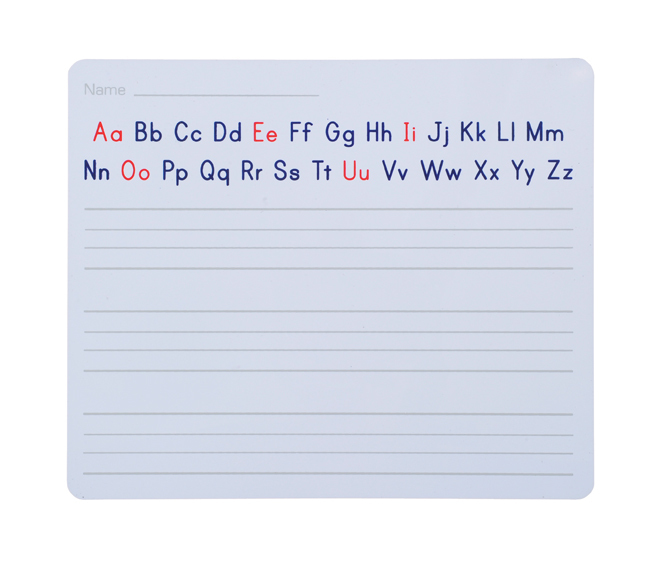 Use the pre-cursive lined lapboards for teaching children about simple letter formation or the cursive writing surface when working on joined-up handwriting. Use the magnetic mini-whiteboard with magnetic accessories to increase interactivity in any activity. 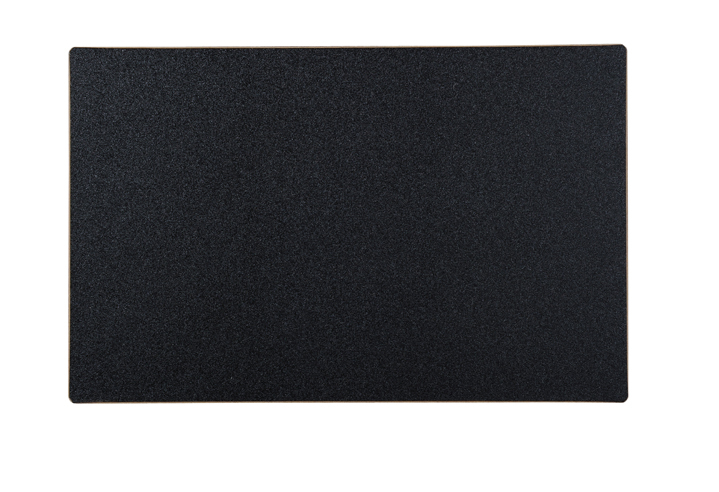 All lapboards are printed in light grey so do not detract from students’ work. All are plain on the reverse with the exception of the 1-100 grid which has an empty grid on the reverse. 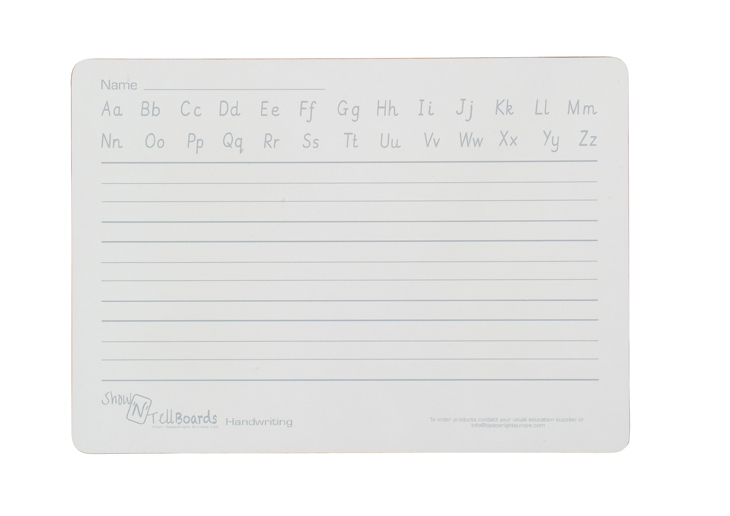 Using mini-whiteboards in classrooms can help to reduce paper wastage as they can be used time and time again.